Brighten up any room in your home with this Yucca Houseplant. Yucca trees are a classic houseplant, well known and easy to care for. They tolerate full sun and thrive on a minimum amount of care and are the perfect plant for a well lit room or conservatory. Yuccas are happy providing the temperature never drops below freezing, and can take a cool room, they can even be grown outside in the summer months. The more you water in summer, the faster your yucca tree will grow. It is important to let the plant dry out before watering each time, especially in winter, when it will be best to keep this plant on the dry side. For best results and colour provide house plant feed regularly. 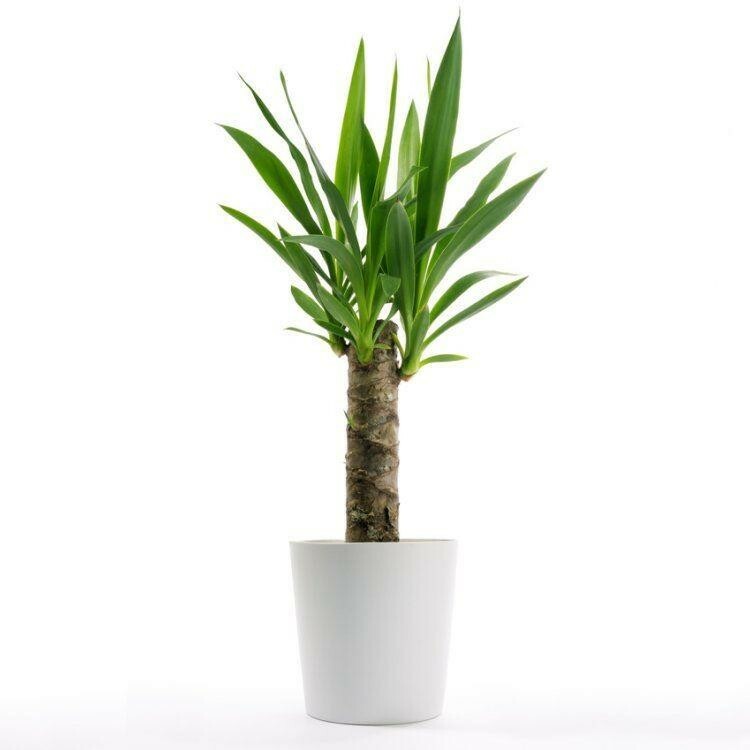 Supplied at around 50cms tall including display pot, this tree will provide a stylish look, and stunning appearance wherever the tree is displayed. Yuccas have a very upright clean look and can be used in a contemporary setting or will fit in perfectly with traditional decor. They make a great low maintenance office plant too.